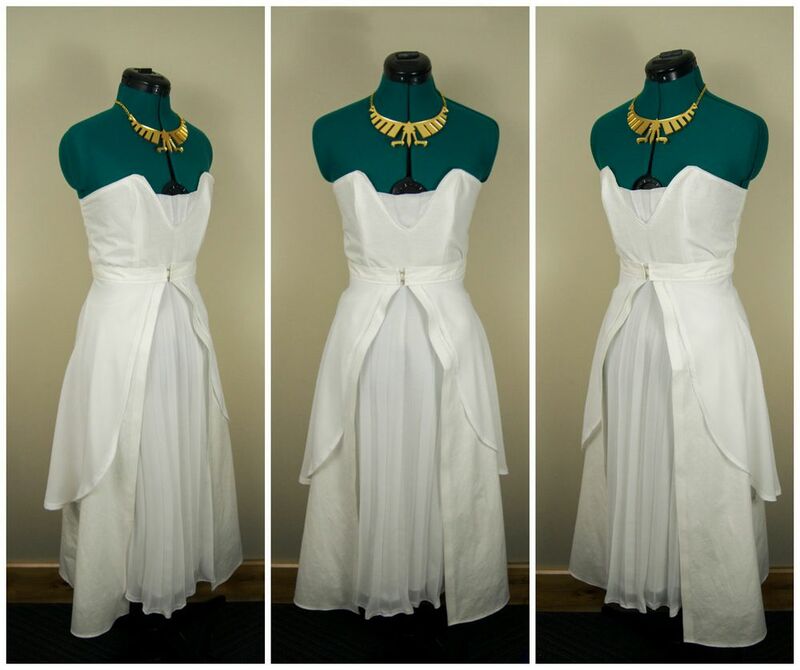 As soon as soon as I saw the trailer for The Legend of Zelda: Breath of the Wild for the Nintendo Switch, I desperately wanted to make Zelda’s beautiful white dress, and when I found the perfect fabric for $2 a yard, I simply couldn’t help myself! 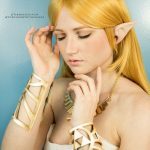 I have been wanting to cosplay from The Legend of Zelda again for quite some time, and this gave me the perfect opportunity! 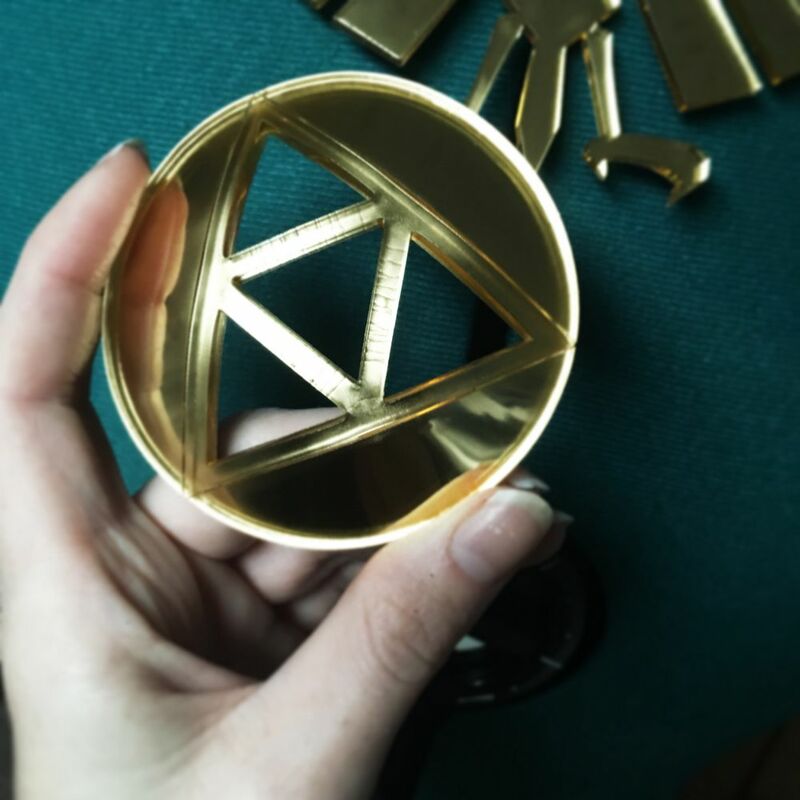 I immediately got to work designing the jewelry Zelda wears. 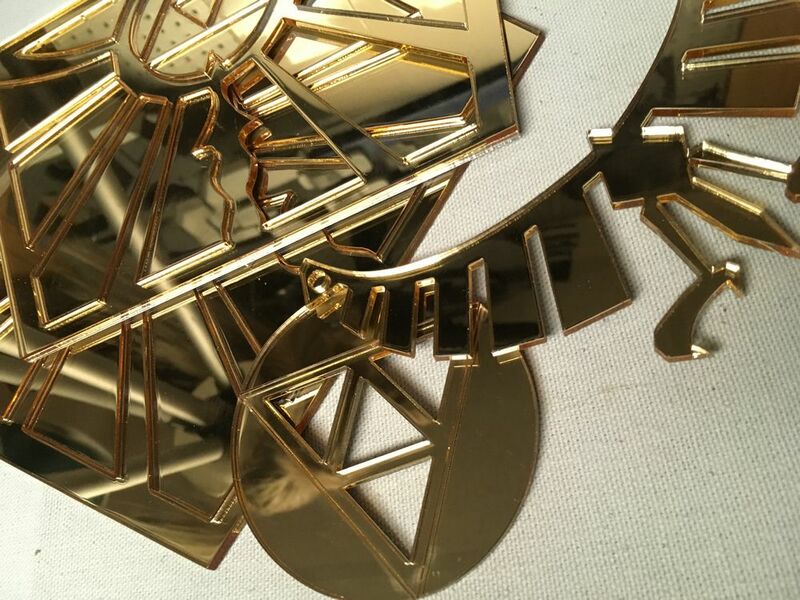 I wanted it to be perfectly smooth and super shiny, so I opted to use mirrored gold acrylic and laser cut the designs. Once the pieces are cut, its only a matter of heat forming them to their proper curves. The necklace and the belt buckle were easy, but the bracelets gave me a lot of trouble. It took 4 tries and a lot of wasted acrylic before I got the sizing and design right! 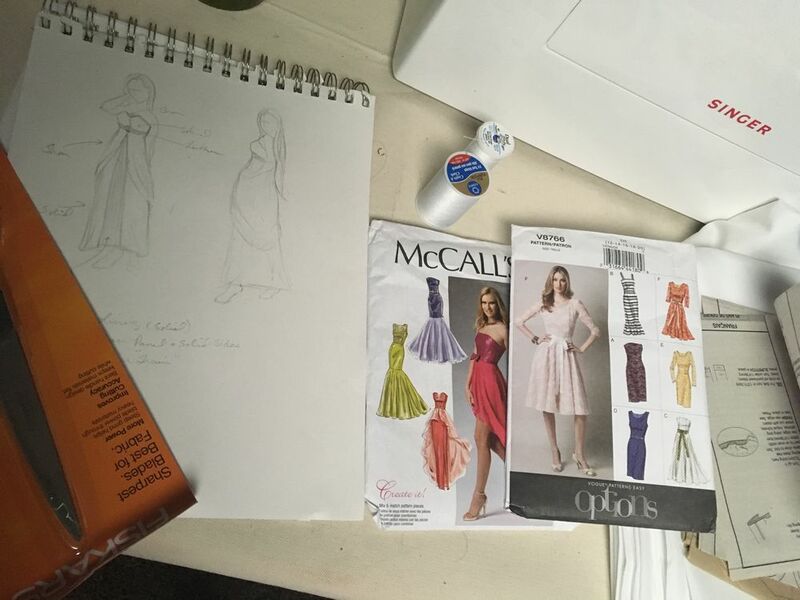 The dress was made by altering and combining two patterns from McCall’s and Vogue Patterns. I needed the basic shape from one pattern, and the high-low overskirt from the second pattern. 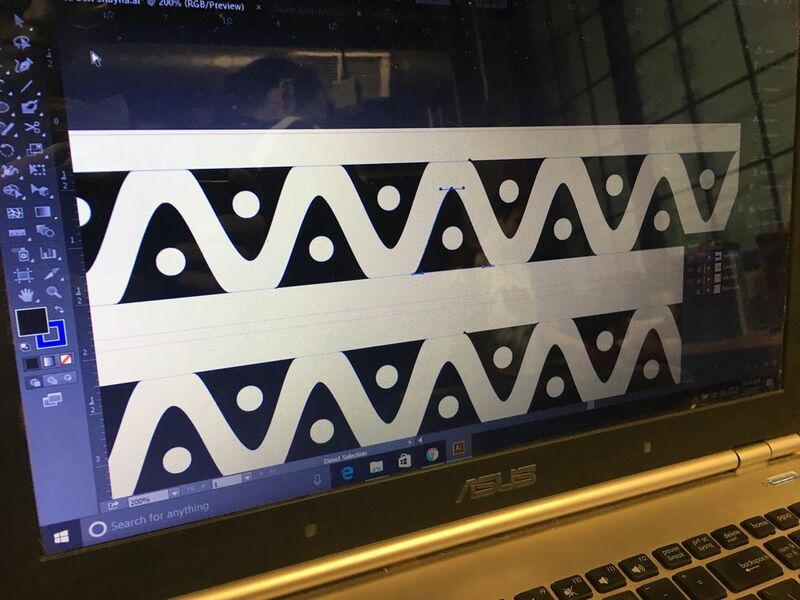 I love making costumes by altering existing patterns! It gives me a place to start and build from without forcing me to draft an initial pattern myself! I always start by cutting out the pattern pieces needed and pinning them to my dress form to see the shape they would take on my body. I then pin and shape the pattern pieces into the silhouette I want garment to take. For this dress, I had to take a lot of the volume off the skirt, but also lengthen it so that it would reach my ankles. I also shaped the neckline to look more like Zelda’s dress. The skirt is made with four different layers of fabrics, all which flow freely from each other to keep a elegant and fluid look. I also added boning into the seam lines of the top to give it shape and support. I was able to complete the dress in only a day and a half and I am thrilled with the anticipation of wearing it! 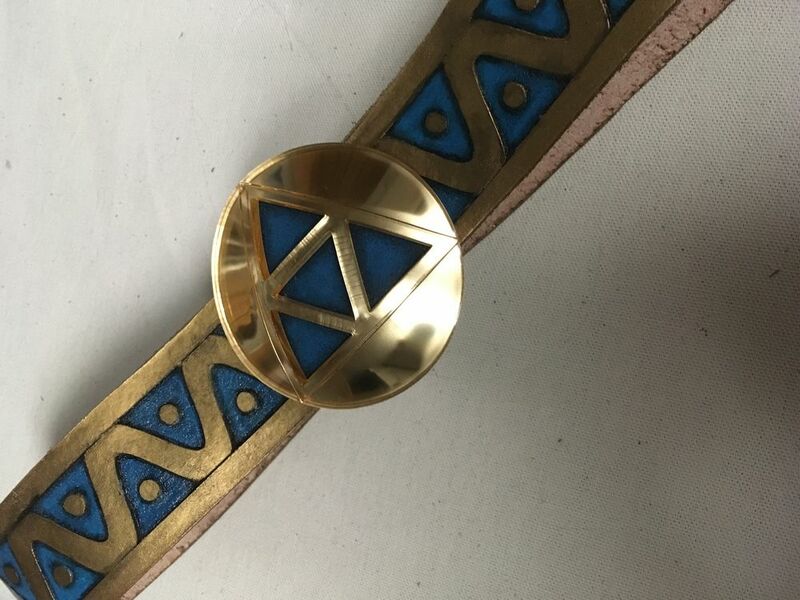 The belt was the final piece I had to make before the costume could be complete. I chose to make it with leather because I wanted to keep the quality high and last a long time. 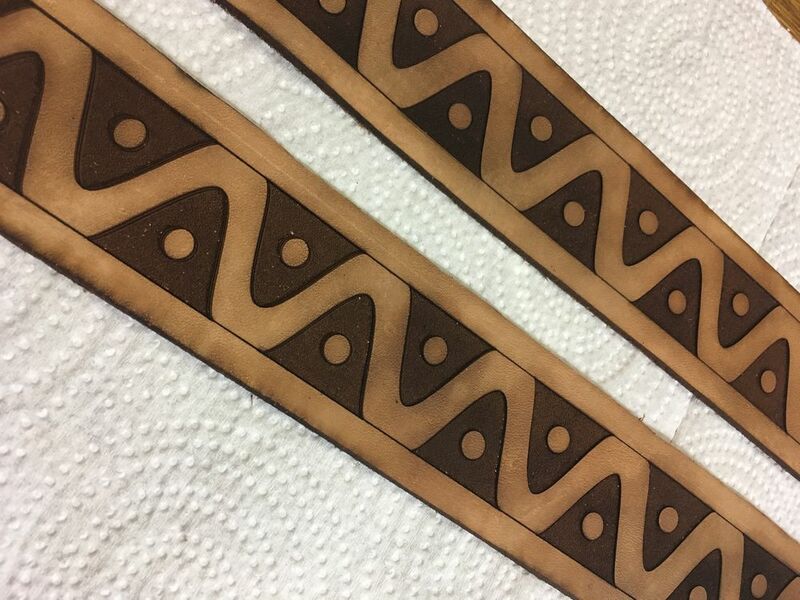 To make things easier, instead of tooling the leather, I used a laser cutter to engrave the design. 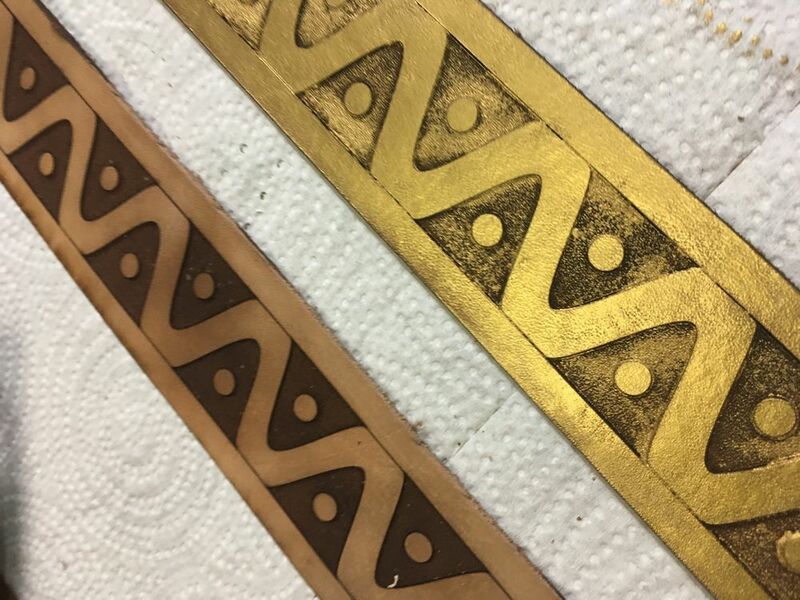 To finish it, buffed the leather with jojoba oil to clean it and to add some moisture back in after being under the laser. 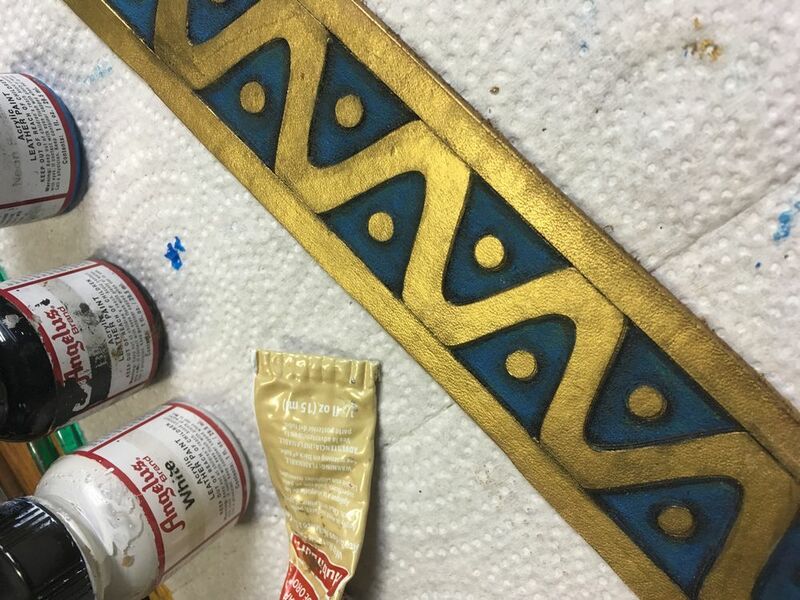 I then buffed the entire belt with gold metallic wax and painted the blue details with leather paints. Last I sealed it with a clear coat, attached the belt buckle, and added a snap to the back for easy off and on. I am so pleased with how this costume turned out! 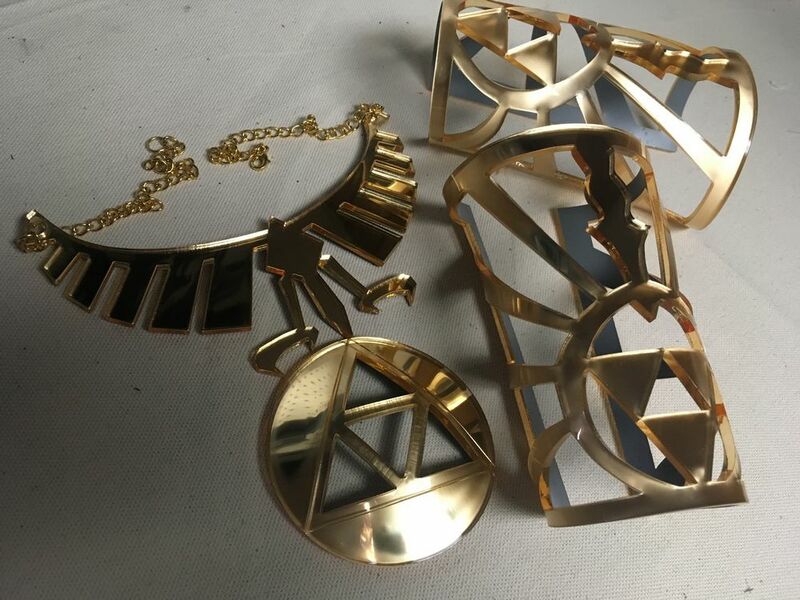 While it looked like it would be a simple costume to complete, it proved to be quite challenging when it came to making the accessories! Nonetheless, I am beyond happy I decided to make it and I’m sure it will follow me to many conventions this year! 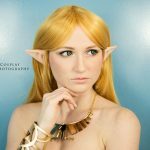 Even though The Legend of Zelda remains one of my favorite video game series, I have not cosplayed from it since I made Sheik in 2014. It is definitely time to bring my favorite characters to life again! This dress is completely different from my usual costumes, so it has been an exciting new experience to make it and wear it! 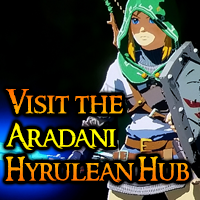 I have paired the costume with the Nomad ears from Aradani Studios and they really pull the costume together!